Pirates. Lost Boys. A ticking crocodile. J. M. Barrie’s classic story about the boy who wouldn’t grow up is brought to life in this lively musical reimagining for kids and kids-at-heart. Touring Niagara October 2018, this adaptation encourages us to dream, to imagine possibilities, and to remember the power of make-believe. With a talented cast of emerging artists and engaging live acoustic music, this adaptation by Bad Hats Theatre received three Dora Mavor Moore awards. 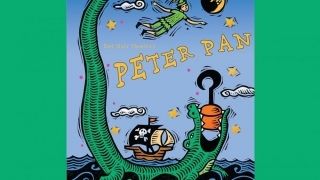 The Community Tour of Peter Pan is made possible by support from the Niagara Region through the Niagara Investment in Culture Program, and the Niagara Community Foundation.